"That's why somebody's mom just enrolled in college!" 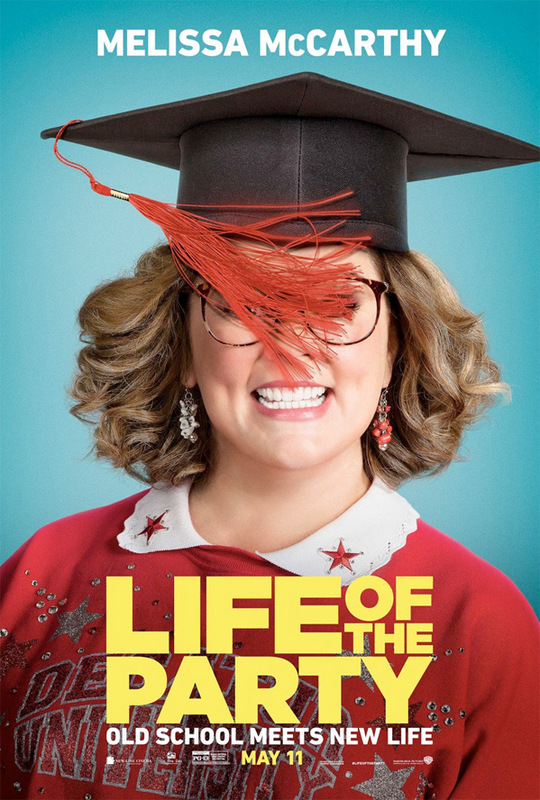 Warner Bros has unveiled the first official trailer for summer comedy Life of the Party, in theaters this May, the latest collaboration between actress Melissa McCarthy and filmmaker Ben Falcone (who also happen to be married), both of Tammy and The Boss previously. McCarthy once again stars in Life of the Party as a woman who decides to go back to college after being dumped by her husband, but ends up in the same class and school as her daughter. So, of course, she decides to become the "life of the party" and live it up while enjoying her return to wild school life. The full cast includes Debby Ryan, Gillian Jacobs, Julie Bowen, Jacki Weaver, Maya Rudolph, Adria Arjona, and Stephen Root. This looks terrible, seriously, painfully bad humor that doesn't land. Caution. When her husband suddenly dumps her, longtime dedicated housewife Deanna turns regret into re-set by going back to college… landing in the same class and school as her daughter, who’s not entirely sold on the idea. Plunging headlong into the campus experience, the increasingly outspoken Deanna—now Dee Rock—embraces freedom, fun and frat boys on her own terms, finding her true self in a senior year no one ever expected. Life of the Party is directed by filmmaker Ben Falcone, director of the films Tammy and The Boss previously. The screenplay is co-written by husband/wife team Ben Falcone and Melissa McCarthy. Warner Bros will release Life of the Party in theaters everywhere starting May 11th this summer. Anyone?